Tickets $125 per person on Eventbrite. The High River & District Chamber of Commerce is a volunteer, community-driven organization that advocates and lobbies all levels of government for positive change. The High River & District Chamber of Commerce helps all businesses to succeed by fostering a vibrant community. 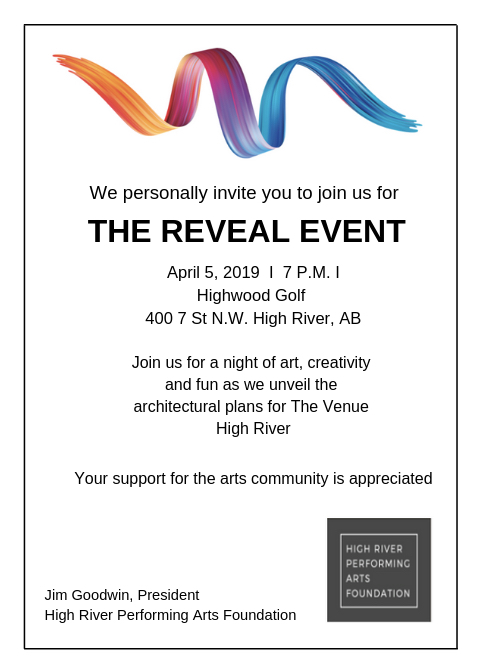 © 2019 High River Chamber of Commerce. All Rights Reserved.